On Sunday (April 7) BTS revealed their collaboration with Halsey was finally coming, and so was a music video. 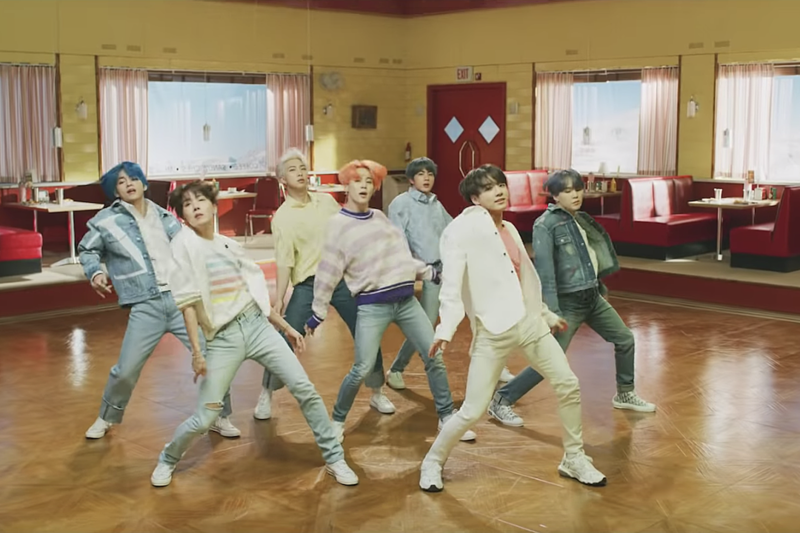 The “Boy With Luv” visuals are set to drop on Friday (April 12), the same day as the Korean group’s new album Map of the Soul: Persona comes out. Just to keep us on our toes, the seven-piece released another video teaser today (April 10). Though this one doesn’t include the American pop star, it does show us just how colorful the clip will be. In just 30 seconds, we see BTS donning four different looks — all light or pastel colors. Pair that with the vibrant pink suits they sported in the first preview, and we know we’re in for another vibrant treat from the pop stars. Watch the second “Boy With Luv” teaser below. Map of the Soul: Persona is the group’s seventh album, and Billboard predicts it’ll be their most successful yet after recording over 2.6 million presales. A day after releasing the new album, BTS is set to perform on Saturday Night Live for the first time. Emma Stone will be the host.